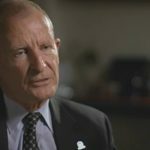 North Korea’s predictable strategy of brinkmanship should continue to be countered with a sensible policy of sanctions and deterrence, Sasakawa USA Chairman Admiral Dennis Blair said in an interview with BBC Newshour on September 19. 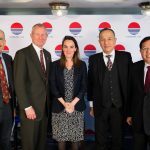 Just hours after President Donald Trump denounced North Korea’s continued missile tests in his first speech before the United Nations General Assembly on September 19, Sasakawa USA provided context and analysis to the Washington, D.C. journalism community at a private roundtable event at the National Press Club. 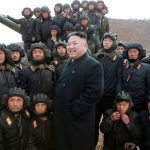 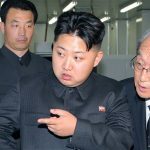 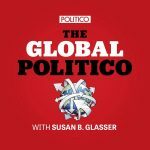 Although rhetoric regarding the North Korean regime’s continued nuclear tests has ramped up in Washington in recent weeks with Pyongyang’s actions, the overall North Korean strategy of provoking the international community while operating below the threshold of starting conflict has remained in place for about half a century, Sasakawa USA’s Admiral Dennis Blair explains in the latest episode of The Global Politico podcast with Susan Glasser.